Get a Santa Cruz County Traffic Ticket? You Can Beat It! Did You Get a Ticket in Santa Cruz County, California? You can fight Santa Cruz traffic tickets by getting them dismissed much easier than you may think. In Santa Cruz, California, drivers are allowed to contest a traffic ticket using a Trial by Written Declaration. This is best way to fight a traffic ticket without going to an Santa Cruz courthouse or hiring an expensive Santa Cruz traffic ticket lawyer. We have found this to be the best way to contest a California traffic ticket, period. This option is available to every driver who receives a traffic ticket in Santa Cruz, California. In fact, if you turn over your traffic ticket you will see that a Trial by Written Declaration is listed right on the back of your ticket as one way to fight it. This process has been around since 1978 to avoid having to pay traffic ticket fines. TicketBust has been helping California drivers prepare Trial by Written Declaration’s for over 14 years. In fact, tens of thousands of vehicle tickets in California have been contested using our system. We are the original traffic ticket fighter and the TicketBust system has been developed specifically to prepare all your documents properly based on how you answer a few questions. This way you can fight your ticket, knowing you have maximized your chances of having the court dismiss your Santa Cruz County traffic ticket. TicketBust service will prepare your full defense package for you, which includes your Trial by Written Declaration and all the defense documents required by Santa Cruz traffic court. Fill out the yellow form to fight your Santa Cruz traffic ticket now! Did you know that you aren’t allowed to pass the white limit line when you are stopped at an intersection? From our experience, this can be a common ticket issued in the county of Santa Cruz, so be on the lookout and stay behind that solid white line. If you find yourself having received a traffic ticket in Santa Cruz, give us a call or fill out our form to see how we can help! Originally given the name of “Branciforte” after the Spanish pueblo founded in the area in 1797, the name was changed to “Santa Cruz” or “Holy Cross” only three months later on April 5, 1850. Fred Swanton, a businessman and eventual mayor of Santa Cruz, made an ambitious effort to attract a large amount of tourists to the area creating the Neptune Casino. Unfortunately, the Neptune burned down in a kitchen fire in 1906. Still determined to make Santa Cruz a tourist hub, he built a new attraction, the Santa Cruz Beach Boardwalk which remains in place today. The Looff Carousel added in 1911 and the Giant Dipper roller coaster added in 1923 are now both historic landmarks. 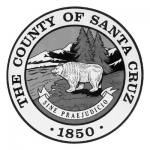 Santa Cruz county has a total area of 607 square miles making it the third smallest county in California by total area, yet contains over 29 miles of beaches. Roughly 276,000 people reside within Santa Cruz County, most of which live within the cities of Santa Cruz, Watsonville, Soquel, Capitola, Scotts Valley, and Live Oak. In the place nicknamed “Surf City,” visitors and residents definitely have been known to “catch some waves” at one of the many surf beaches in the area. Yet, there are also hundreds of miles of hiking trails along the coast, mountain meadows, and majestic redwood groves as well as cycling trails, golf courses, and great food and dining venues for those who would rather keep on land.